I was lucky enough to be at the final game under the twin towers, and yesterday was again lucky enough to have a ticket for the first competitive match at the new Wembley. Here are my impressions of the overpriced superstadium set to become the new home of English football. 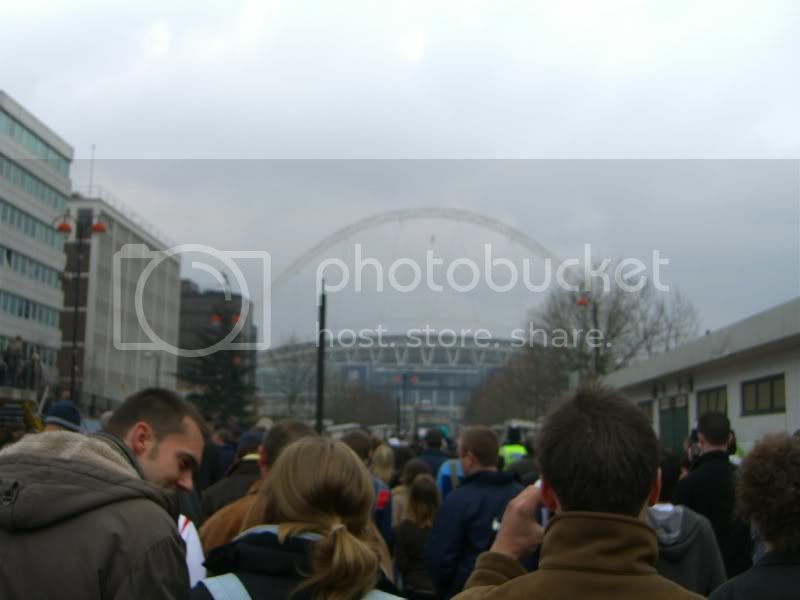 We arrived at the ground about 90 minutes before kick off and Wembley Way was rammed with supporters. The tube journey to Wembley Park was been a squeeze as always, and although the new stadium has an increased capacity, it didn't look to me like any work had been done at the station itself in order to deal with the increased number of fans who will be passing through it on future matchdays. That aside though, when you get to the top of the station steps and see the arch for the first time you can't help but feel just a little bit awestruck. I have taken a few pictures/videos of the day which I will include at the end of this article, but I have to apologise in advance for the poor quality of the images, they were taken on a mobile phone. Everybody was searched upon entering the ground. Bags were turned inside out, screw tops were removed from drinks bottles, and the guy in front of me had to throw his can of deodourant into the bin (which he was most upset about). After finally clearing the security we were on the concourse, and this was where you really started to get a true feeling for the size of the ground. Yes it was only two thirds full yesterday but there was no pushing and shoving going on as people made their way towards various toilets, gift shops, and refreshment kiosks. I would estimate that the concourse was 4 times as wide as the Valley's North Upper equivalent. Beer was £3.50 a pint, which is actually cheaper that I expected it to be. Hot dogs and burgers were also between £3-£4, and looked pretty much like they do in any other football ground nationwide. I wasn't about to risk them. Then came the highlight of the day for me, that jaw-dropping moment when you actually enter the stands themselves. I didn't really care about the game to come, this was why I had come to Wembley today, and I have to say that at first glance it entirely lived up to my expectations. The ground is just huge; there is no other word for it. 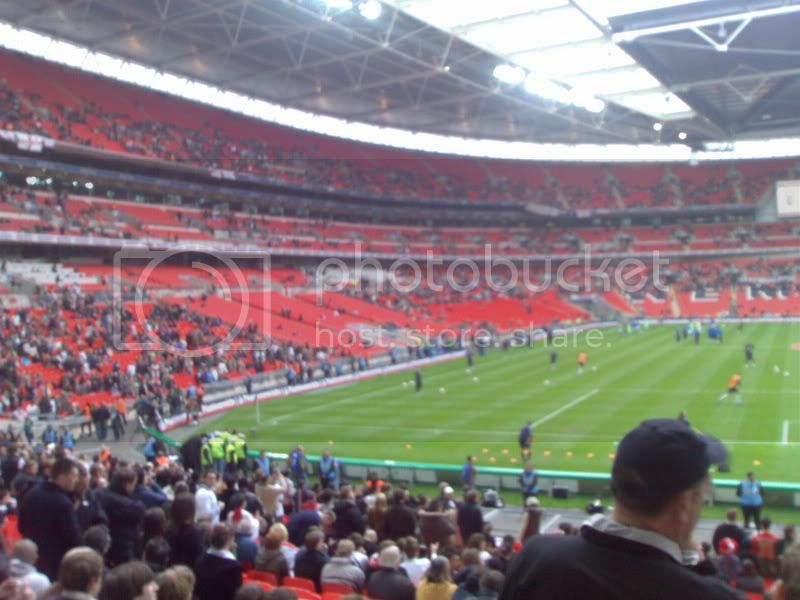 Although there are only 12,000 odd seats more than the old Wembley you could be forgiven for thinking that the stadium had doubled in capacity. 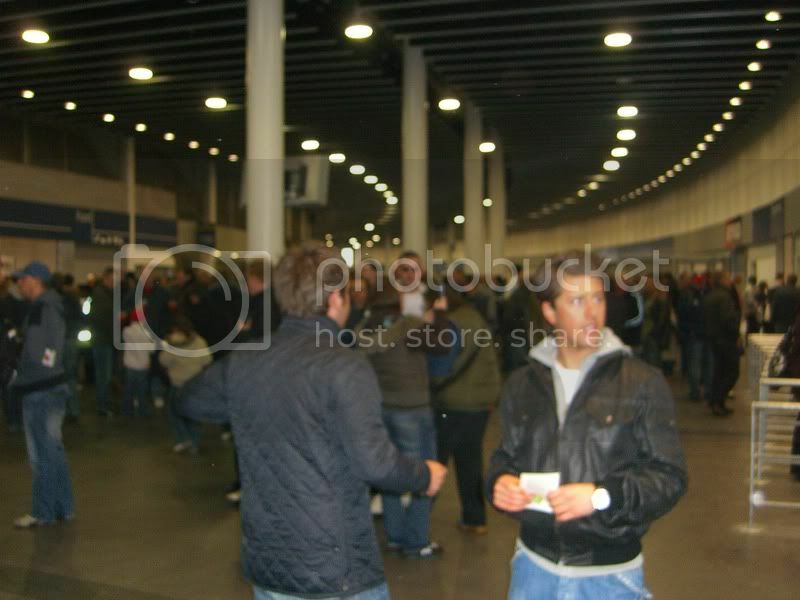 The pictures I have taken inside the ground really do not convey the size well I'm afraid. Suffice to say that it is the nicest looking football stadium I have ever seen, and the leg room afforded to each seat is more than generous. However, the space in between your seat and the seat next to you wasn't so great. The 3 lads I went with were all big fellers, and none of us were able to keep our arms by our sides without annoying the neighbour. The game came and went, I'm sure you're not really that fussed about my match report. One thing I will say though is that the atmosphere wasn't what I was expecting. There were the obligatory Mexican waves and In-Ger-Lund's rolling around the gargantuan stands, but the acoustics didn't appear to be fantastic. I'm sure that this will change when you get the whole ground filled with fans for an England game, or when you get the 50/50 split for an FA Cup final or other such fixture. I'm not sure how easy the ground would be to get out of at the end of a match because we left 10 minutes before the end. About 20,000 others had the same idea though, and mounted Police periodically stopped the tide of fans heading back towards Wembley Park station in order to let the crowds clear. 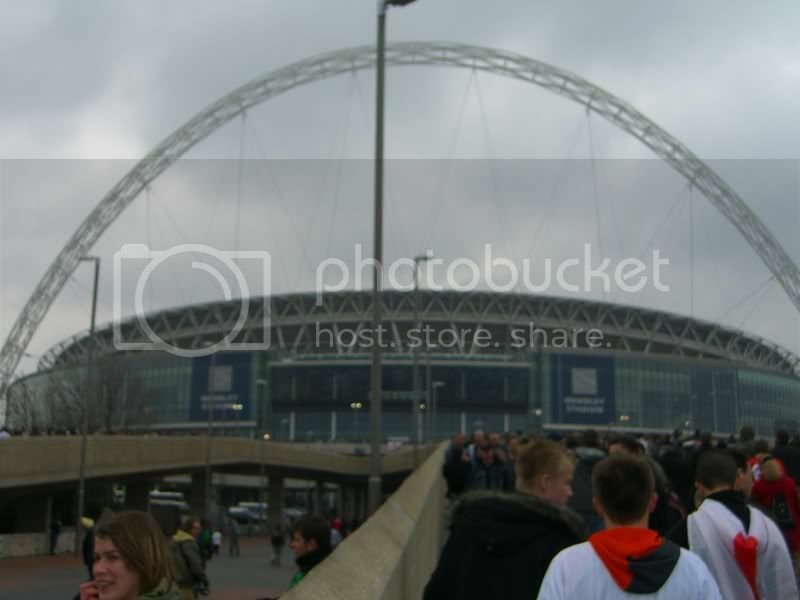 When I got to the top of the stairs at the tube station and looked back along Wembley Way all I could see were fans with at least an hours wait to get on a train. We definitely made the right decision in leaving early. I am one of those who have followed the building of the new Wembley pretty much from the start. 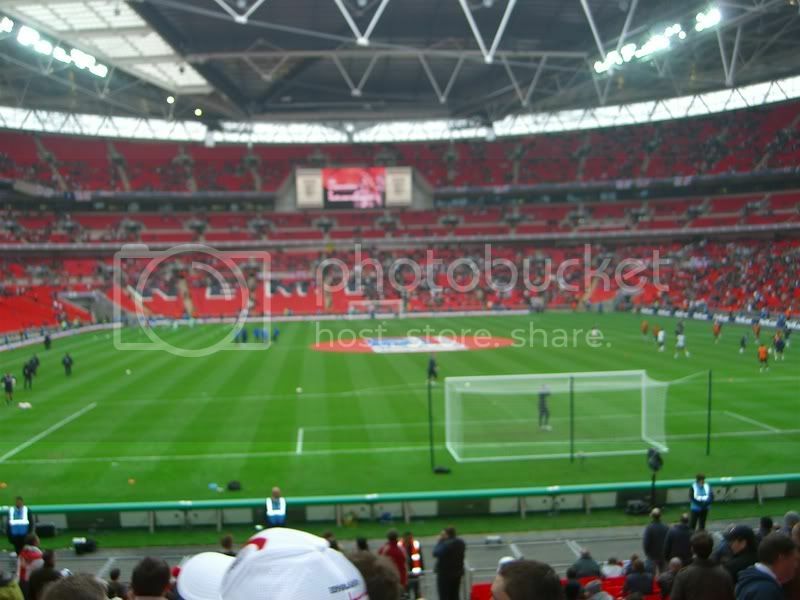 At least once a month for the last couple of years I have logged on to http://www.wembleystadium.com just to see the latest pictures, or to stare at the web cams bleary eyed for 5 minutes, so for me to be there yesterday was just wonderful. Why then, can I not shake a feeling of disappointment? 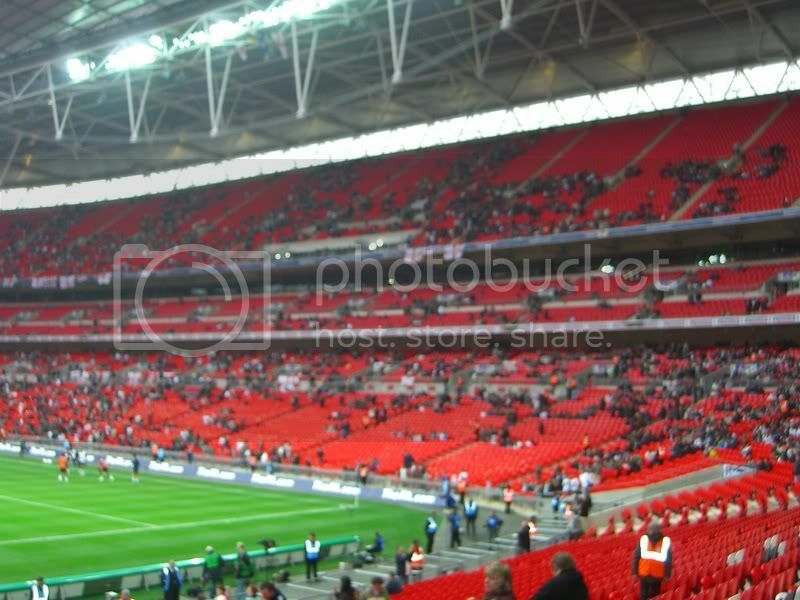 All Charlton fans have wonderful memories of Wembley, and I have watched England play there so many times aswell. 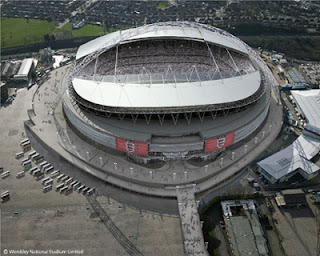 The new stadium has to be seen to be believed, and it is definitely ready for the future, but is it still Wembley? Did you go to the Emirates this season? Beautiful ground isn't it? But it's just not Highbury. Maybe in 5 years time when England have built some memories under the Arch, and there have been some memorable FA Cup matches at Wembley I will feel differently about this, but right now I feel like the country has lost something. The stadium I was sitting in yesterday could have been a stadium anywhere in the World. Move it to Sydney, or Madrid, or Los Angeles, and it would still be a gorgeous futuristic stadium, but there was nothing that I saw yesterday that made me say "Yeah, this is Wembley, and this is the home of English football". Hopefully this feeling will dissipate given time, but at the moment, all I have is a sense of overwhelming anticlimax. Just a quickie in order to post the goals from tonights match for the benefit of anyone who wasn't there. It was a disgusting decision that robbed us of three points tonight. Everyone keeps telling me "that's football", but when was the last time you saw something like that happen to United/Chelsea? Maybe that sounds a touch bitter, but its the truth isn't it?? New manager Les Reed and second in command Mark Robson met face to face with over 200 Addicks in the Valley’s Millennium Lounge this evening. I managed to get myself a seat at the fans forum, and although I was gutted when I was told that I couldn’t bring my lap-top inside, I rallied, got myself a pen and paper, and scribbled furiously throughout the whole event. The idea was that I would then type out as much of the proceedings as I could for the benefit of those who weren’t there (and Inspector Sands), just in case the club decide not to release the whole audio recording to the general public. By the way, if anyone reading this happened to be there as well and thinks that I’ve made a mistake in what I recorded, I don’t care. I did as well as I could. I’ll summarise what was said for the most part, but verbatim quotations will appear in capital letters and bold type. I arrived earlier than most and managed to get myself a seat in the middle at the front. There were at least 6 seats facing the audience, so I assumed that Reed and Robson would be joined by others from within the club but it turned out to be just the two of them in the end, with Supporters’ Director Ben Hayes presiding over the whole event. 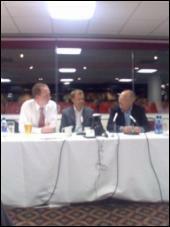 I was a little disappointed that neither Varney, Murray, nor anyone else from the boardroom level attended the evening. It was obvious pretty much straight away that some of the more meaty questions about Dowie’s departure were going to be met with “no comment”, and that the whole forum would be about first team matters rather than the weightier issues that the last 7 days have seen arise. There was a generous round of applause when Reed and Robson came to the table, and then Ben Hayes addressed the forum by asking Les Reed to TALK US THROUGH THE LAST 72 HOURS. LR – Stated that he received a call from Richard Murray at approx 6:30pm on Monday evening, and the chairman went on to say that he had had a long discussion with Iain Dowie and that consequently Iain would be leaving the club. He then suggested that Reed should get in touch with Mark Robson, arrange a meeting with the players, and begin to prepare the team for the trip to Reading on Saturday. Les described himself as SHELL SHOCKED when he heard this news. On Tuesday morning there were only 7 regular first team players in training due to injuries, the International matches, and a reserve match that afternoon. Reed met with the 7 players who HAPPENED TO BE THE MOST SENIOR PLAYERS and informed them that he was now in charge. Murray told Reed that he didn’t want the role to be temporary because he didn’t want his new manager LOOKING OVER HIS SHOULDER at speculation within the press. Reed again described himself as SHOCKED AND DELIGHTED with this news, and then told the forum that he just wished his promotion COULD HAVE OCCURRED UNDER BETTER CIRCUMSTANCES. The appointment was then described by Reed as A DREAM COME TRUE for him, and as ONE OF THE BETTER JOBS IN FOOTBALL. Reed also confirmed that despite allegations in the national media, there was no dressing room unrest in the days leading up to Dowie’s dismissal, no training ground bust up’s, and that the players were all IN FULL SUPPORT of Iain Dowie. The meeting was difficult for Reed who claimed IT WAS NO EASY TO ADDRESS THE PLAYERS WHEN I WAS STILL IN SHOCK MYSELF. After the meeting he then phoned all of the absent players and gave them the news. The team were described as SHOCKED AND DISAPPOINTED initially, but Reed then told the audience that training that afternoon was first class, and the players minds were focused on Reading. BH – Asked Les if he could now talk about the future a little more, and shed an light on who would be the third man involved in this new management structure. LR – replied by saying that he had NO IDEAS as to who the third man is going to be, and that he doesn’t even know what the job description is yet, but he has had LOTS OF APPLICATIONS ALREADY! He then went on to speak about Mark Robson’s knowledge of the younger players at the club due to his previous role, and the fact that this role is now vacant. He also stated that perhaps the incoming third coach will be utilised in this area, whilst also alluding to the fact that it would be a shame to lose Robson’s experience with the youth team. He suggested perhaps tweaking the roles slightly so that the younger players could reap the benefit of Robson’s experience, and that we could ensure a SMOOTH PATHWAY FROM THE YOUTH TEAMS INTO THE FULL SQUAD. Reed and Robson will talk more about what they require from the third man after the Reading game is out of the way. Q – Richard Murray talked about teamwork in his press conference after Dowie departed, and said that not all parties had been acting as a team, what was this all about? LR - Didn’t really answer this question satisfactorily in my opinion, claiming that Murray’s comments were not referring to the ex-manager himself, but to the management structure of the club that was put together in the summer (Reed/Robson/Dowie). He also stated that Andrew Mills and Murray himself were also supposed to be involved in this team, but it appeared to me from the manner in which Les was speaking that this did not occur in practise. Basically, Murray comments were referring to all senior staff, not just the footballing staff. It was also claimed that there was ALWAYS GOING TO BE A REVIEW, it just so happened that the club were bottom of the league when it occurred. Q – In general, there was a better style of football under Iain Dowie than there was under Curbishley, will this continue? LR – NO, WE’RE GOING TO START KICKING IT LONG! Q – Are the current crop of players good enough to get us out of the mess that we’re in, and do you think you will be signing players in the January transfer window? LR – Les told the forum that he was VERY CONFIDENT THAT WE WILL TURN THINGS AROUND, BUT ITS GOING TO BE A LONG HAUL. He also said that he will be setting the squad points targets on a monthly basis, and that the fixture list had given us a decent run in, although hopefully we would be out of trouble before it gets to that point. Reed also stated that we are only struggling due to A COMBINATION OF REASONS. - The late appointment of Iain Dowie and the subsequent late signing of players. - Difficult pre season, for example, he claimed that the management team only had 1 DAY WITH THE FULL SQUAD before travelling to the West Ham game. Q – Just before we put to bed the incidents this week, the club have more than insinuated that Iain Dowie didn’t just leave because of results on the park. Can you tell us what happened? BH – Chimed in to say that Les couldn’t really expand on what he had already said. LR – Spoke out and said that the management structure that was put together after Iain was appointed was supposed to SECURE THE CLUB’S LONG TERM FUTURE. Before Iain was sacked, Murray/Varney didn’t feel that this future could be guaranteed, and they had to make a decision in the short term because the long term future was at risk. Q – I don’t think that the strike force is good enough (Darren Bent aside). Marcus Bent is useless, Hasselbaink looks lazy. We’re just not scoring enough goals. What about the likes of Alan Smith/David Healy/Nugent etc? LR – Les said something along the lines of - I agree that we need to do something about scoring goals, but obviously we are unable to until January. Other areas of the team (midfield, defence etc) also need to chip in, ESPECIALLY WHEN WE PLAY A 5 MAN MIDFIELD. Q – Simon Walton looks good on Sky doesn’t he? LR – Claimed that Simon was signed due to the fact that he has massive potential, and although he performed excellently in pre-season it was decided that he would benefit from some first team football. Therefore he was loaned to Ipswich. Q – What will your tactical approach be? Will we continue to play expansive football? LR – Les stated that in order to get out of the position that we are in, it would be difficult to only play expansive football. Some of the uglier things will also need to happen. Reed also stated that ONE OR TWO PLAYERS HAVE SUFFERED CONFIDENCE PROBLEMS this season. WE HAVE TO BE VERY SOLID AND VERY RESOLUTE WHEN WE LOSE THE BALL. Reed went onto say that he would continue to use flair players such as Thomas and Rommedahl, but he would have to teach them to work harder when the team isn’t in possession. MR – Also said that he was looking forward to working with the first team squad. Obviously he has involved in reserve and youth teams at Charlton in the past, and when asked how he felt about so many promotions in such a short space of time, he said I’VE HAD A FEW OPPORTUNITIES TO MOVE ON OVER THE LAST COUPLE OF YEARS, BUT DIDN’T WANT TO BECAUSE I LIKE IT HERE. COACHING IS IN ME, AND I LOVE DOING IT. Q – Can you give us an update on current injuries? LR – Les said that he is concerned about the inordinate number of hamstring injuries that seem to be occurring, and said that he will be reviewing the WAY IN WHICH WE TRAIN ON THURSDAYS AND FRIDAYS BEFORE GOING INTO THE HIGH INTENSITY MATCHES ON SATURDAYS. He believes that the hamstring problems and injuries we are suffering may be due to the fact that we had much less of a pre-season than we have been used to in the past. With regards to current injuries, Diawara won’t be fit for Reading on Saturday, neither will Kishishev, and Faye is suspended. Rommedahl will be fit, as will Darren Bent, BUT JEROME THOMAS IS TOUCH-AND-GO. Q – Set pieces and corners, we don’t score enough. Do you agree? LR – YOU’LL CERTAINLY SEE SOMETHING DIFFERENT FROM NOW ON. Reed said that the team will be working on set pieces tomorrow at Sparrows Lane, and that he is aware how important they are to being a successful Premiership side. Q – We seem to concede less goals and score more goals when Rommedahl and Thomas start on the wings, any views? MR – Told the forum that he though Rommedahl had been much more effective this season that he has been in previous seasons, but he said that work is still required to improve his final ball. He believes that Rommedahl has pace which frightens defences, and that we need to get him in behind the opposition back line a little bit more. LR – REGARDLESS OF HOW WELL YOU THINK HE’S BEEN PLAYING FOR CHARLTON, HE SCARES THE OPPOSITION WITH HIS BLISTERING PACE. Reed also made the point that it gives the opposition manager something else to think about in the dressing room when he finds out that Rommedahl is in the side. Q – The players’ body language speaks volumes so far this season, why don’t they fight back more after losing the ball? LR – Les agreed with the forum that on occasions certain players have displayed poor body language on the pitch so far this season. He also assured the audience that this is something that he will be looking at in future training sessions. Q – Are we going to lose Thomas Myhre? LR – Les Stated that Myhre had BEEN TERRIFIC in training, although he has had his fair share of injury problems so far this season. WE HAVEN’T GOT ANY INTENTION OF LOSING HIM IN JANUARY. Q – We haven’t had any real leaders on the park since Kinsella/Di Canio etc. Who is the next natural Charlton captain. LR – Les agreed that there is a lack of charismatic leadership within the side at present, and claimed that this is something which he has discussed with managers at other clubs. It’s a trait THAT SEEMS TO BE DISAPPEARING from football. Les also said that the senior professionals at the club all have a role to play when it comes to leadership out on the pitch, and it shouldn’t all fall on the captains shoulders. He also expressed his wish to address this issue on the training pitch, and claimed that players showed a marked improvement in training today, (possibly due to the effect that a new manager has on a side). Q – Andrew Mills, what does he bring to the table? LR – Les fielded this question by saying that himself, Mark Robson, and the incoming third coach have the job of team building, squad building and developing players and tactics, and that the new structure of the club was put in place in order to allow them to concentrate on these primary responsibilities. Mills’s job is to work VERY MUCH LIKE A LINK BETWEEN OURSELVES AND THE CHAIRMAN. He deals with the day to day running of the club and handles the issues of non-football staff, which allows us (Robson and Reed) to concentrate more on the first team. He also stated that he would decide what type of player was needed, Murray and Mills would then find the players and come back to Reed with a list of potential signings. Reed/Robson would then make the final decision on who to sign. Q – How can we hold onto Darren Bent in January? LR – Les informed the audience that Charlton would not have a problem in holding onto Darren Bent in January, and was very complimentary about the player and his attitude. 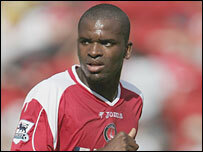 HE SIGNED FOR CHARLTON BECAUSE HE LOPVES IT HERE. HE’S NOT A DIFFICULT PLAYER, HE’S STILL A KID WHO TAKES HIS FOOTBALL TO BED WITH HIM. Cue the “ahhh, bless him's” from the female members of the crowd. Q – We haven’t had a proper ball winner since Parker, when are we going to sign a similar player? 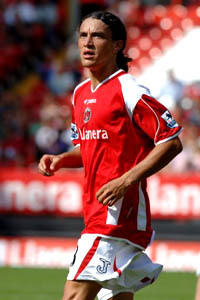 LR – Les claimed that one of the primary reasons for signing Amady Faye was his ability to win the ball and the presence that he has in the middle of the park. He also spoke about Simon Walton coming back to the club in January because ball winning is one of his strongest attributes. Les then moved onto Omar Pouso and said that Omar is STRUGGLING WITH THE PACE OF THE GAME IN ENGLAND, but could still develop into a ball winner. Emphasis was also put onto the fact that it is the teams responsibility to work collectively in order to win the ball, the responsibility should not fall on one particular type of player. Q – What’s happening with the kid Bolanos? LR – Les explained the work permit problems which prevented Christian from signing for us in the summer, and said how upset the club were that their appeal was rejected by the Home Office. He then suggested that perhaps a deal will still be done whereby we sign him and then loan him out to a country in Europe which has less strict rules on work permits (perhaps through our link up with Germinal Beerschot). The player would then have the opportunity to play in Europe, and continue to amass the International caps which would eventually allow him to play in England. IT’S DEFINITELY STILL IN THE WORKS. And there you have it. That was the end of the forum. Ben Hayes stood up and thanked everyone for coming, as well as thanking Mark and Les for attending the evening in spite of the fact that it has been a busy week for them. Overall, I thought Les Reed spoke pretty well about all things Charlton. I managed to shake hands with both Les and mark at the end of the Q+A session, congratulated them both on their appointments and wished them the best of luck for the future. It's also probably also worth mentioning that the club held a raffle for a signed football (unknown at this stage as to whether Dowie signed it!) with the proceeds being given to the Valley Flag Campaign. £180 was raised, which is the price of half of one banner. Feel free to add your own thoughts below. It’s worth listening to if you haven’t heard it, even if it’s only to hear our Chief Executive’s comments on Simon Jordan’s latest rantings. As for Cynic Athletic, the site will be back up and running again soon, I promise. Because of the nexus of unofficial Charlton sites which are now available on the web, I rarely bother to check the Official site anymore. Personally, I would rather read other fans' opinions on the facts, rather than just the facts themselves. Today was a slow news day though, so I found myself trawling the official pages and clicking things that I wouldn't normally bother to click. If you are anything like me, chances are that you may also have missed this interview with Richard Murray. Reporter - "£3.7m? Thats quite expensive for a defender"
Murray - "Very expensive. I’m giving Iain a hard time on that, because he is spending money we haven't really got. We've already dipped in to next years budget." Murray also claimed later on in the clip that the reason for the clubs financial gamble is the Premiership’s new TV contract that starts in the 2007/08 season. For those of you who don’t know, back in May the European Commission threatened the Premier League with legal action should in not ensure that other television companies were given a share of the live matches this time around. The upshot of all of this is that Sky will now only broadcast 88 matches per season (as opposed to the 138 that they currently offer) and the rest of the live games on TV will be broadcast by Setanta, an Irish channel who you will also have to subscribe to in order to watch your football from next year. Basically, the rights to Live football on the three occasions that they have been negotiated have increased massively from £191.5m in 1992, to £670m in 1997, and now to £1.7b in the upcoming deal. 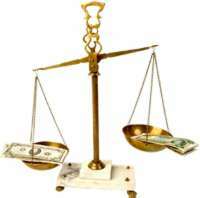 Setanta are yet to announce how much it will cost to view their matches on pay-per-view. The new deal also guarantees the 20 Premiership clubs much more money per season that the current one. The format will be the same however, each club receives an identical amount, and then gets a bonus at the end of the season dependant on where they placed in the table. The new contract will massively increase (from £500k currently), the amount of money that the clubs will receive per league placing. Our financial splurging this summer is largely to ensure that Charlton are still a part of English football’s elite when this contract begins next season. In short, this season is absolutely critical to the future of Charlton Athletic. To go down this term would be a complete disaster financially, and if we do eventually get relegated we have already gambled a portion of next seasons transfer budget. With the dizzying amount of money that is being talked about here you can understand to some extent the boards thinking in spending what we have spent, but gambling our clubs financial future is not something that Charlton often do, and it has left me a little concerned. Making comments about gambles and next years budget already being spent is almost like saying to bigger clubs: “we are going to be skint next summer, so if you fancy Darren Bent on the cheap, just make us an offer next July”. Also bear in mind that the club have now received local residents backing to redevelop the East Stand at the Valley, and I’d imagine that is going to cost us a fair amount of wedge as well. We are not the only club in this particular boat however, Blackburn, Manchester City and Tottenham were the only three Premiership clubs whose dealings in this transfer window have amounted to a profit, and Spurs only recorded that profit because of the ridiculous £18m they received for the very average Michael Carrick. Much has been made of the fact that any one of 14 Premiership clubs could go down this season, and taking into account these comments from Murray, it is absolutely essential that we aren’t one of the three this time around. From a Charlton perspective it was quite a predictable series of events that made up our deadline day dealings. Andersen has gone out on loan to Leeds but can be recalled if either Carson or Myhre pick up knocks. Pouso has signed on a year long loan from Penarol for an initial fee of £350,000 (with a further £1.3m to come if we want to make the deal permanent in 2007), and the forgotten man of SE7 has finally left the club, signing for Middlesbrough in a deal worth up to £300,000. Nobody really knows too much about the Uruguayan, but he’s supposed to be a ball winner with an eye for goal, so I would assume that the short term plan is to play him in place of Holland in the middle of the park. Pouso and Faye should be an energetic double act in the engine room, and with Reid and Ambrose out on the wings our midfield is starting to take shape. The second choice quartet (Hughes, Holland, Kishishev and Rommedahl) is now pretty much what our midfield was at the end of last season, and with Jerome Thomas still to come back into the fold, things in that area of the pitch now look a lot more secure than have done for most of the summer. 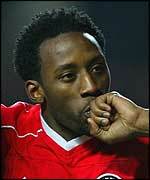 As for Euell, well, he’s a player that I have always respected. Jase scored some vital goals for us during some pretty key seasons as a newly promoted club, and it’s a shame the way his career has gone sideways since the public bust up with Curbs. I remember almost falling off of my chair with surprise when I saw Euell’s face on an advert for the Orange mobile phone network a few years ago. It was the first time I had ever seen a Charlton player involved in a national advertising campaign and if you remember the advert, Euell scored a winning goal at Highbury and went running off in celebration around the streets of London! It was a rubbish advert really, but I remember it fondly because Jason scored at Highbury later in that season (the fourth goal in our 4-2 win), and I remember sitting in the crowd that day half expecting him to jump over the advertising boards and go running off down the road when that ball hit the back of the net. He was never the most skilful of players, but what he lacked in finesse he made up for in desire and persistence. It's a shame that when most of the football world consider Euell's career at Charlton they wont remember that he was top scorer three years on the spin, they will just remember the last 2 years he has spent in the reserves. At least he still has a chance to prove to the nation that he does still have the ability to perform in the top flight, and I hope he takes that chance with both hands. All the best in your future career with Middlesborough Jase, and I hope you will recall all of the good times you had at The Valley as vividly as you will remember the bad. 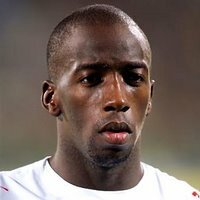 With 40 hours of the transfer window left, the Addicks announced that 27-year-old Souleymane Diawara has become Iain Dowie’s 8th signing of the summer. I’ve never even heard of the lad let alone seen him play, but he has experience of playing in Europe, has won domestic trophies in France with Sochaux and is an experienced International. The price is slightly higher than I would have expected to pay for such a player but Dowie claims that he has followed his career for some time and is well aware of what he can do, so the rest of us will just have to trust his judgement. The fee was £3.712m (and twenty six new pence) by the way. As I’m sure most Addicks are aware by now, one player who will not be present when Diawara joins up with the squad is Costa Rican talent Christian Bolanos, whose appeal for a work permit was turned down by the Home Office yesterday. I’m gutted about this news to be honest. I wasn’t at the friendlies that the kid took part in but I have heard nothing but glowing reports from those that were, and I’m sure that the club will be keeping an eye out for his inclusion in up and coming Costa Rica squads. As soon as Christian’s percentage creeps up over the 75% mark, I’m sure he will be on the first available plane back to London. It was obvious when the original application was turned down that Bolanos hadn’t played enough International matches, and I would love to know on what grounds the club appealed the decision anyway. It does seem a little harsh though to expect the kid to have been playing ¾ of his countries International games at the age of just 20. 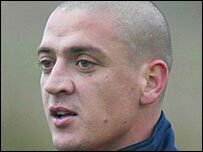 So with Bolanos off of the list, and no further movement on the alleged deal for Pouso, Dowie now has approximately 21 hours of the transfer window left in order to find us the midfielder we so desperately need. Even if we find the right man, the question is: Do we have enough money left to sign him? By my reckoning we have spent just over £11m this summer and recouped nothing. Jason Euell looks likely to be off to Boro, but even if that move goes through I can’t imagine it being for anything more than a million. Perhaps it would be wise not to sign a midfielder tomorrow, and save the money for January instead. By then we will have a better idea of where we need to strengthen anyway. With 2 days of the transfer window left, BBC Sport has reported that we are on the verge of signing Uruguayan midfielder Omar Pouso on a season long loan. The player is allegedly in England at the moment, and discussing terms with the Addicks. The President of his current club Penarol claimed yesterday "Pouso explained to us that they (Charlton) offered an attractive amount of money and we won't forbid him a step forward in his career”. Not quite sure what the player would have meant by that. If we are taking him on loan then I thought the general procedure was that the club signing the player just pays him the wages he would have been getting at his original club. I’m ready to be corrected if that isn’t the case. In other news, poor little Kevin Davies has suffered a fractured cheekbone as a result of Hreidarsson's challenge at The Valley on Saturday. Allardyce has revealed that not only are the club going to appeal the red card he received that day (although he should have had 2 before receiving the one that actually dismissed him), the Bolton manager has also lambasted referee’s for never giving the player the protection he deserves. The irony is almost unbearable. This man manages a squad which includes the likes of Diouf and Campo, two of the worst culprits in the league when it comes to feigning injury. It's always an elbowfest when Bolton come to town, and games with them are always boring, and littered with niggly free kicks because of the style in which they play. The elbow on Faye at the weekend may not have been the worst challenge Davies made on the day but there is no way that the FA will let him wriggle out of his suspension, not with the way he conducted himself throughout the rest of the match. One of my pet hates is managers who religously defend their players even when they are clearly in the wrong. Davies lived by the sword at the weekend, so he can't have any complaints when it came back to bite him. Darren Bent's well taken goals and Scott Carson's superb display between the sticks are the main reasons that we find ourselves off of the foot of the table today, but credit must also be given to Iain Dowie for delivering both a victory and a clean sheet for the first time in his Charlton career. It was also an eventful afternoon for referee Mike Dean, who gave two penalties, issued two red cards, and should really have issued two more if the law had been obeyed to it's letter. Davies was a flurry of elbows all afternoon but Hreidarsson was foolish to get involved in retribution. Upon viewing the replays I think a sending off was probably the correct decision but if Davies hadn't have gone on to get his own marching orders, a debating point this morning would surely have been whether the Bolton player should have even been on the field by the time HH decided to dispense his own justice. The referee clearly missed the first incident between the same two players, and it was a stroke of fortune for Davies that Hermann decided to just get on with the game rather than roll around on the floor as if he had been shot. Both of the penalties were harsh. There may have been contact between Diouf and Faye but there was certainly nothing which should have constituted a foul. When you view the replay from the camera in the East stand, the way that Diouf falls over without even bending or twisting his body is quite embarrassing really. Scott Carson was on hand to ensure that he did not profit from his theatrics and he was on his feet in a flash in order to clear the rebound, where lesser keepers may have still been laying on the floor congratulating themselves. We have a real gem in this lad, and we should be pushing Liverpool immediately in order to agree a fee and make the deal permanent in January. The last minute save from Idan Tal was just further evidence of his alertness and agility. Our penalty was also a soft decision, and I'm inclined to agree with Allardyce that there may have been a subconscious decision from the referee to level things up. I can't imagine he would have given that if both sides had 11 men and he hadn't just given a debatable penalty at the other end. Still, he gave it, and Darren Bent did what he does best. The second goal was the first real combination that we have seen from the two front men this term and it was indeed refreshing to see the ball hit the back of the net, and a partnership beginning to form. It wasn't all good news though, there were times yesterday when I was screaming at our defenders for leaving wide open spaces, particularly down our left, and Stelios in particular could have had a couple of goals on another day. There are obviously defensive frailties in the side at the moment and the loss of Hermann for the next three games isn't going to make it any easier for Dowie to get those errors ironed out. Both of the debutants did ok. Traore was guilty of one of two positional blunders, but those will surely become less frequent once he is more familiar with the rest of his back four. Reid did not look as out of shape as I had expected him to, and he even sprinted on one occasion! We have quite a lot of height in the side now that Traore and Faye are included, and Reid's delivery of the ball from set pieces will no doubt be valuable to us this year. An international break means that we don't play again until the 9th of September, and hopefully by the time that match comes around Bolanos will be cleared to play, and Thomas/Gibbs will be a little closer to recovering from their injuries. Isn't it amazing how much brighter things look after obtaining three points? I’m not so sure that I agree with Dowie’s claim that we “haven’t been put to the sword” in either of our first two games. The fact that we lost to Manchester United doesn’t really bother me, but the manner of the defeat was pretty morale sapping. Towards the end of the Curbishley era there were a number of occasions where the heads of the players visibly dropped after going a goal behind, and that generally resulted in the opposition helping themselves to further goals. I’m a little worried because a similar thing happened on Wednesday night. I remember commenting at half time that although they had hit both the bar and the post, I didn't feel particularly threatened by United. Then half time came and went, they scored, our heads dropped, and they scored again and again. This is an alarming trait that our players seem to have, and one that needs to be nipped in the bud before it develops into a full-blown confidence crisis. If we do go behind in matches, we need to have the belief that we can still get something from them. I saw a set of statistics towards the end of last year, which showed how many points Premiership teams had accrued when coming from behind in matches. I can’t find the link now, but we were awfully low in that table. People within the media and on the various football forums net wide are widely tipping us to struggle now that they have seen our first two results, and this slide needs to be arrested immediately. We have never before been bottom of the Premiership, even in 98/99 when we got relegated. I don’t think we have ever lost the first four fixtures of a league campaign in my lifetime either, but with Chelsea (a) next up on the list it just goes to show what an important fixture it is at The Valley tomorrow. Traore will come back into the fold and will make his home debut; it also looks as though Reid is set to figure from the start aswell. Wyn Grant reported earlier in the week that Bolanos’ work permit has finally been approved, so we could in theory be welcoming three new Addicks to The Valley this weekend. Presumably Hughes will drop out of the side for Reid, and Fortune for Traore with HH switching back into the centre. I don’t envisage any other changes. Sam Allardyce and his league of nations arrive unbeaten after their first two matches, with a win at home against Tottenham followed up by an away draw with Fulham. They also have an excellent record at The Valley over the last 5 years, having beaten us on four occasions and drawn the other. We surely must be due a win against this side, and we can draw hope from the fact that they haven’t taken 3 points on their travels since the 17th December 2005. In fact, they have only scored one goal on the road in their last 5 League matches, and that was the penalty they were awarded at the cottage on Wednesday night. I hate playing Bolton. They are well organised, but they are also dirty and boring. I don’t envisage this one being a classic by any means, but when you are scrapping for your lives at the bottom of the league (and we are, by the way) I’m perfectly willing to sacrifice entertaining football for three points. I’m going onto nights this week, so the match report is unlikely to be up until late on Sunday/early Monday. Apologies in advance.